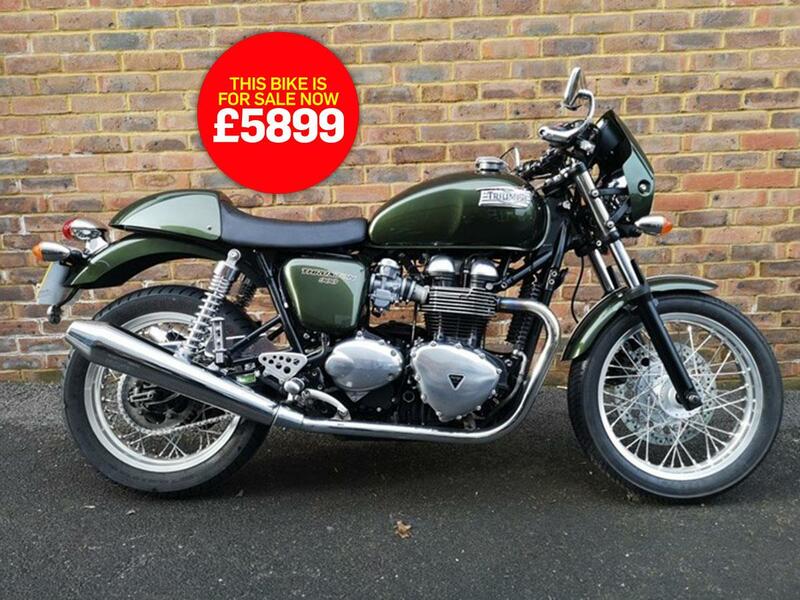 With Triumph taking the covers off their Thruxton TFC last week, we thought we’d pick a Triumph Thruxton 900 as today’s bike of the day. MCN first rode this machine back in 2003 and claimed it offered great retro cafe racer looks alongside competent handling, however complained that it lacked the punch and power you’d expect from its 865cc 8v twin. Adopting a racy, over-the-front riding position, the Thruxton is about as authentic as a cafe racer can be and is most at home either cruising at a leisurely pace along country lanes, or posing about town. This is a bike best kept for weekend outings, with elements being susceptible to corrosion if used frequently in bad weather. John W Groombridge Motorcycles say: "This Triumph Thruxton on a '63 plate with just 4618 miles on the clock. It comes in a stunning metallic green finish and really does stand out from the crowd. “The bike has had its first service and will leave here with its second one completed, too. You will all be ready for when the sunshine hits later this year.